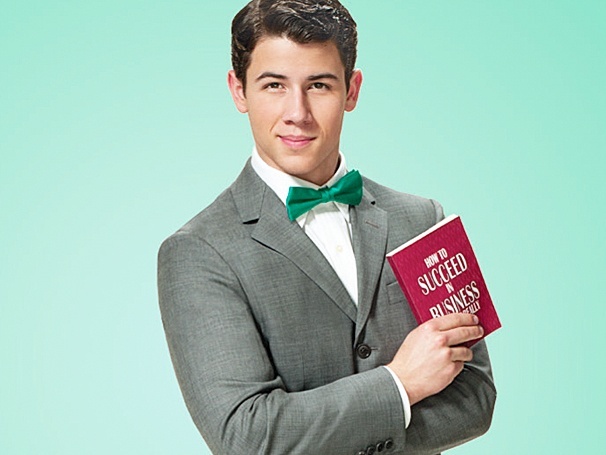 Above: Jonas in “How To Succeed in Business Without Really Trying.” Stock Photo. Since breaking away from the Jonas Brothers and going solo, Nick Jonas has been proving that he is a force to be reckoned with. Just a few years ago, the Jonas Brothers, the hottest boy band around, were tearing up the charts and making young girls everywhere scream. Thanks in part to Disney for giving them a recording contract, television show and two Disney Channel Original Movies, girls everywhere were screaming their names. Something that fans always respected about Nick Jonas was his openness when talking about living with diabetes. There were no other teen stars who spoke about being different. “I want people to know that I am not going to let this slow me down,” said Nick Jonas. After releasing two new songs and promising a new album in 2013, the Jonas Brothers abruptly announced that they were going their separate ways as a band. “I think it was time, and for us it took some time getting there, but we feel like it’s time that the Jonas Brothers come to an end,” Kevin Jonas said. Since then, Nick Jonas has been focusing his full attention his solo projects. On the acting side, Jonas filmed his first lead movie role as Doug Martin in “Careful What You Wish For,” which will be released sometime in 2014. He also guest-starred on “Hawaii Five-0” before landing a role in the new DirecTV show “Kingdom,” set to premiere on Oct. 8. Nick Jonas has also returned to the solo music scene. He has announced that his first full-length album will be released on Nov. 11. Two songs from the album have already been released. Nick Jonas is definitely breaking out of his Disney shell. With the variety of his new projects, it is clear that he is a face that one will not be forgetting soon.